Brushstroke is one of those image effects app with a unique twist. 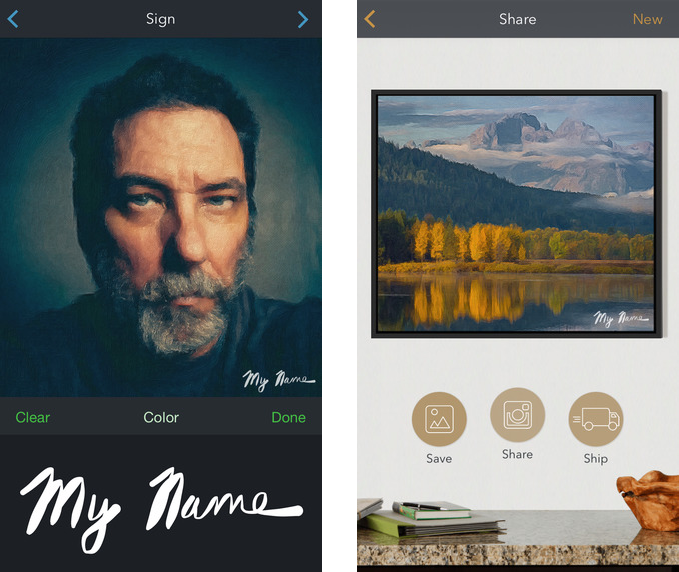 Not only does it transform your photos into faux paintings, but optionally lets you order mounted canvas prints of your images directly from the app that you can hang on the wall. 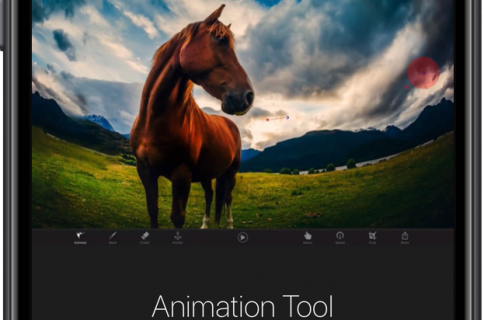 Apple named Brushstroke its Free App of the Week in December 2014. If you forgot to grab this nicely done $2.99 iPhone and iPad app for $0 back then, now’s your chance. That’s right, Brushstroke has gone free exclusively for users of Apple’s official retail app for iOS (which, coincidentally, received a major update today with an overhauled interface, “For You” recommendations and other perks). 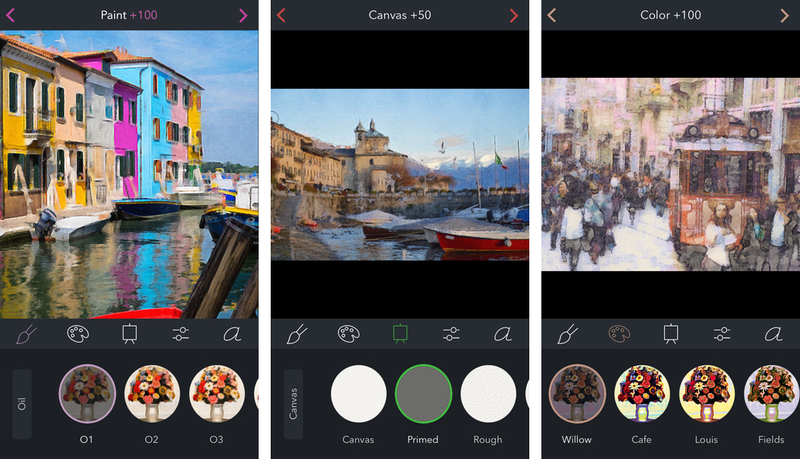 To grab your free copy of Brushstroke, download Apple’s free Apple Store app for the iPhone and iPad from the App Store, and launch it on your iOS device. Next, tap the Discover button at the bottom and scroll down until you see the Brushstroke offer about hallway down the list. Tap Download Now to continue. On the next screen, hit the blue Download Now For Free button. A prompt pops up, warning you that you’re about to be taken to the App Store. Tap Continue. After the App Store offer for Brushstroke loads, tap the Redeem button in the upper right corner. Your free app should redeem and begin downloading to the device (you may need to provide your Apple ID password. Again, you must redeem this offer through the official Apple Store app because the App Store link for the app takes you to its paid version. This cool app transforms normal photographs into thick brushstroke paintings that appear as if painted with oil on thick canvas, or with acrylic on wood. Optionally, you can add your signature before ordering a physical mounted print. The prints are ordered directly from CanvasPop, for as low as $55. The prints will be delivered to your doorstep. Of course, you can choose the frame style and size, with mounted prints ranging from as small as 10-by-10 inches to as large as 28-by-21 inches. To learn more, check out our review of the inaugural version of Brushstroke.